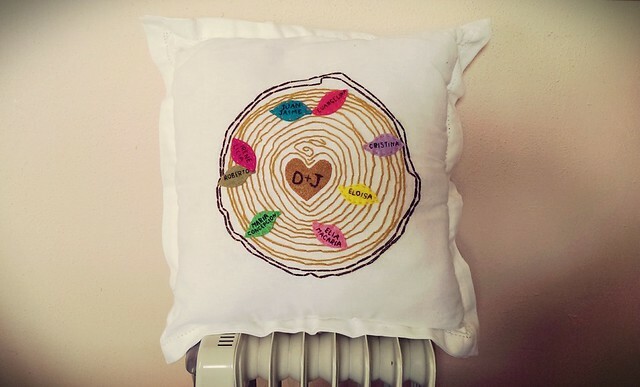 Sometimes it's such a drag getting my projects photographed and uploaded - I love this family tree pillow, stitched from a lovely pattern by Cozyblue, but it was all I could do to take some pics and upload them. So here it is finally, about 3 months after I finished it. I snapped the pic above with my cameraphone and applied an Instagram-y filter to it, using the new Flickr app for uploading from phones. Our house is so dark, and it's rare to get the lighting right. I'm still getting used to my fancy camera, which is great at some things, and harder to get used to for others. For detailed shots, I still prefer point and shoots and my cameraphone. I've used my cameraphone on all my New Knit Stitch of the Week posts. 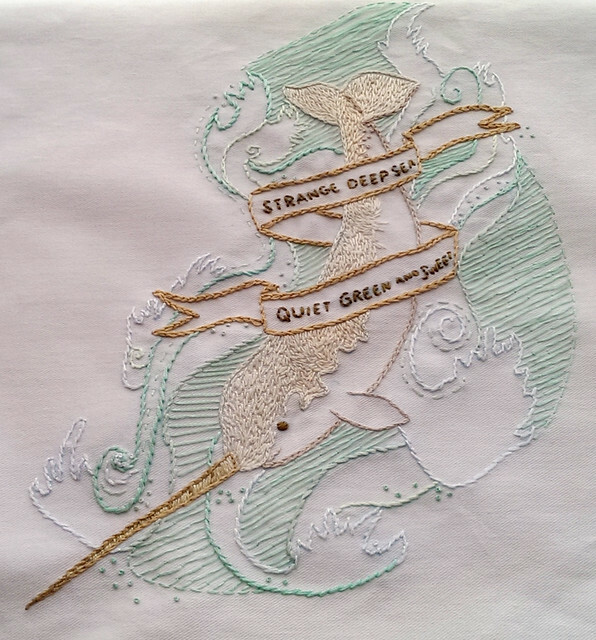 Like this June 2012 stitchalong finish - that I snapped a photo of with my cameraphone. The quality is not perfect, but I love the crispness of the detail. I snapped a photo of it already, years ago with my last point-and-shoot, but this pic shows the details a little better.